2018 has been a prosperous year for the real estate market in Florida. 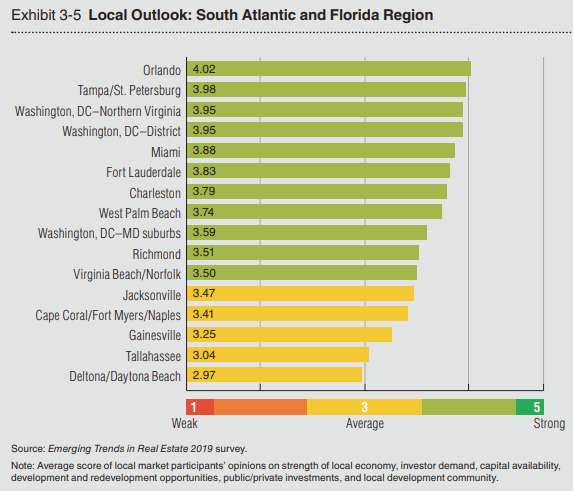 According to the Emerging Trends in Real Estate 2019 Report, published by the Urban Land Institute and PwC, “Ten Florida markets have fully rebounded from the disruption caused by the global financial crisis.” Most impressively is the Orlando housing market which made it in the top 5 best places to invest in real estate for the third year in a row! In this blog post, we explain why owning an investment property in Orlando in 2019 continues to be a profitable and wise decision. We also provide a list of the best neighborhoods to consider based on data and real estate analytics estimated by Mashvisor’s Investment Property Calculator. Of course, the first indicator of the best places to buy a rental property is a strong demand for housing and rental properties. Orlando has benefited from major population growth over the last 5 years. The city has been growing at an annual rate of 7.2% which is twice the national US average and is something that Orlando has never experienced before! This dramatic population growth is due to the city’s beautiful scenery, quality of life, and ambient weather. Moreover, a high percentage of the population is between the ages of 25 and 44. This tells you the Orlando housing market is quickly becoming a central attraction for students, families, and young professionals. In addition, based on the Emerging Trends Report, people in the city are choosing to reside in the suburbs. All of these factors indicate strong demand for rental properties which, in turn, is luring property investors to invest in the Orlando real estate market. One of the main things attracting property investors to the Orlando housing market is its affordability compared to the other top 10 places to invest in real estate. According to the Orlando Regional Realtor Association, “The rocketing rise in prices Orlando has seen over the past years stabilized this summer.” The year-over-year median price has increased between 6% and 7% which is low compared to other cities around the country where prices have been skyrocketing. This is good news for property investors as it means Orlando still enjoys a healthy and affordable real estate market. The median property price in Orlando is $323,826 and while it can be difficult for homebuyers to get into the Orlando housing market, property investors with enough capital have nothing to worry about. Plus, the price-to-rent ratio in the city is 17 meaning it’s better to rent than to buy as property prices are rather high compared to rental rates. As a result, the demand for Orlando rental properties has gone up and is expected to keep increasing into 2019. Investing in the Orlando housing market is not just appealing to domestic property investors from across the country, but to foreign investors as well! Florida is generally a top destination for international investors buying in the US housing market. While Miami is the first option for these investors, Orlando comes in second. The Miami real estate market is about luxury investment properties, while Orlando is all about family and tourists looking for family-friendly vacation home rentals. For that reason, more foreign investors are looking at buying rental properties in Orlando because of the good return on investment thanks to Disney and tourism. In fact, an article published by Forbes finds that substantial shares of buyers in the Orlando housing market are foreign buyers! Tourism is not the only industry supporting the good return on investment of Orlando investment properties. Thanks to its friendly tax environment and affordable real estate, Orlando offers vital opportunities for up and coming start-ups. As mentioned, many young professionals are moving to the city and Orlando is becoming a new hub for them especially for engineers, IT entrepreneurs, and small business owners. The city experienced an annual job growth of around 4.4% making it one of the fastest growing metro areas in the United States. Moreover, the employment growth rate in 2019 is expected to be well above the national rate in the Orlando housing market as well. Not only that, but the city is set to experience its highest job growth rate in the upcoming 10 years. As any successful real estate investor knows, markets with high job growth are the best places to invest in real estate! Take advantage of this growing job market and increasing demand! With a free Mashvisor account, you can use our Property Finder to find lucrative investment properties that match your criteria in a matter of minutes. Orlando is embracing its split yet stable economy. Since job opportunities in Orlando are growing, people from around the US are choosing to move here. This directly translates to a boom in rental income as there is an increasing demand for both residential and commercial rental properties. In turn, this means a steady stream of rental income for real estate investors in the Orlando housing market. In fact, data from the PwC report shows that rental rates have been steadily climbing over the past six months – not just in Orlando, but the overall US housing market. This is good news for property investors looking to buy an investment property to rent out and increase their income in the long-term. Based on Mashvisor’s data, traditional rental income for an Orlando investment property is $1,588 which allows for a good return on investment. It is important to remember that Orlando real estate prices and rental rates vary depending on the particular neighborhood. So, if you are looking at making an investment in a rental property in the city, be sure to research the best locations in order to get the most bang for your buck. You can easily find the best and most profitable neighborhoods in any city in the US housing market with Mashvisor! To help you out, we’ve used our tools to give you data and analytics of the best neighborhoods in the Orlando housing market. To start looking for and analyzing the best investment properties in your neighborhood of choice, click here! Whether you’re a local or out-of-state real estate investor looking for your next investment, now is the time to make your move in the Orlando housing market. A rental property in the city can be a great source of added income whether you’re renting it out traditionally or for the short-term as a vacation home rental. 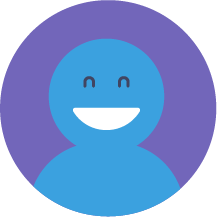 Remember, Mashvisor can help make your property search easy and hassle-free! To start your 14-day free trial with Mashvisor and subscribe to our services with a 20% discount after, click here. Second Home vs Investment Property: What Should Be Your Next Purchase in Real Estate?